The RePEc community is looking for a volunteer to head a committee on quality control for journals admitted to be indexed in RePEc. Here is some background. There is a growing number of journal-like outlets that pretend to be normal open access journals. But in reality, all they do is take authors’ money, and put the content up on a web site. They do no quality control. They have no editorial board that does any work. In fact, many times people on the board do not even know that they are on it. Traditionally, RePEc has not done any quality control prior to listing additional journals. We believe that quality can best be assessed by users of the RePEc dataset. However, we have been criticized for helping these deceitful outlets gain a mantle of respectability through their RePEc listing. Therefore we take this step forward. We expect quality control also to be an issue with toll-gated journals. The volunteer we are looking for will determine the exact name of the committee and its remit. (S)he would recruit a few committee members. (S)he would run the mailing list and maintain some web pages for the committee. RePEc can provide both. Anybody who is interested in this work should contact repec@repec.org. We expect that this will not be a lot of work. We are sure that this as a duty that any academic can itemize as a professional service on their CV. RePEc relies on volunteer work to function, and many are contributing. One can help in small and big way. Simplice Asongu is one of those who have embraced RePEc and contribute in big ways. 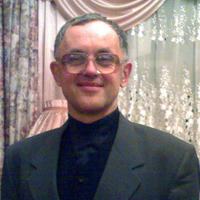 He is one of the editors on MPRA, the Munich Personal RePEc Archive which allows authors whose home institution does not participate in RePEc to upload their works and have them listed. While an institutional archive has some editorial control if only to preserve the reputation of the institution, anybody can upload at MPRA and thus a minimum of quality control is required: it should be about economics, it should be an academic work, it should not violate copyrights, the full text needs to be legible, and the required metadata needs to be complete. As material in any language could be uploaded to MPRA, this required a large diversity of editors that make sure the uploaded paper is appropriate. Of course, English is by far the most frequent language and necessitates several editors to handle the workload. Simplice is one of them, and he has so far handled close to 8000 papers. Simplice currently works at the African Governance and Development Institute (AGDI), a think tank based in Yaoundé (Cameroon). He is an empirical economist principally interest in growth development and finance issues for Africa. Doing research in Africa is not the easiest, and it is remarkable that he remains productive in his academic undertakings in such an environment, and even finds time to help RePEc in significant ways. If you want to help RePEc as well, even in small ways, here is a list of some volunteer opportunities. 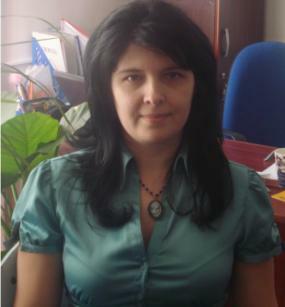 Laura Ştefānescu is Professor at the Faculty of Financial Management Accounting of Craiova, Spiru Haret University, Romania, where she teaches Elements of Information Technology, Business Informatics, Databases, Decision System Support, E-Business. In 2008, she started volunteering for RePEC by editing weekly reports on Knowledge Management and Knowledge Economy (NEP-KNM) and from 2010 as General Editor of NEP. In this respect, she prepares the weekly lists of new working papers from which the field editors will pick those relevant to their report. This crucial task is largely invisible to the public, hence we thank Laura for her selfless dedication to the cause of democratizing the dissemination of research in economics. And, unfortunately, she is the only woman among those most heavily involved in RePEc. We would welcome more! Hosting RePEc services has been both a technical and an organizational challenge. Historically, the first hosting of what was to become RePEc goes back to late 1992. Manchester Computing Center, as it was known then, agreed to create WAIS indexed Gopher for the BibEc and WoPEc projects created by Thomas Krichel. The site was converted to the web in 1993. Manchester Computing Center were a national center for academic computing, providing services the UK academic community. They were fortunately forward-looking in their outlook when they started to with NetEc. It was broadly within their remit as Thomas Krichel worked in UK academia at the time. They continued to sponsor RePEc-related sites until the end of the decade. But they were not the only one. Washington University of St. Louis, where EconWPA was living, contributed a NetEc mirror, and so did Hitotsubashi University where Satoshi Yasuda kept as server in his documentation centre for Japanese economic statistics. So generally, it was for sponsoring institutions, where a RePEc volunteer lived to take up the hosting. If they agreed, there were usually stringent conditions. Machines are locked in a facility closed after hours, there are rules on firewalls. Or when the machine was based in somebody’s office, a cleaner could unplug a cable, electricity cuts could cause damage to the motherboard, failing air conditioning would damage disks. The list may look comical now, but at the time each incident was a disaster. There was not much of an alternative. Commercial solutions were too expensive to be paid for by an individual, and project funding would come to an end. Things are looking better now. Cloud computing has become much cheaper. In 2006, the RePEc OAI gateway, sponsored by the Central Library of Economics (ZBW) in Germany was the first sponsored RePEc service. The CollEc service has become the second sponsored RePEc service. The server runs at a hosting company. The server is a dedicated machine, with 8 CPUs. They are running 100% constantly as the calculations for CollEc are very heavy, at this time. One single sponsor covers a 50 euros a month fee for the machine. In November 2012 the ZBW sponsorship moved to a similar machine. In December 2012, the NEP service followed. It uses a similar machine. The NEP team had several offers of sponsorship and chose the one by Victoria University of Wellington, mainly because they were the first to offer. We think the CitEc service will follow suit, but we still have to find a sponsor. We also could move the main RePEc site to a similar machine. While a single site may not require the use of a powerful computer we still need backup. Case in point, in 2008 staff at the hosting company discovered that the server sponsored by ZBW did not have a stick on it. They proceeded to dismantle the machine. No data was recoverable. Fortunately Thomas Krichel kept a backup. We expect that RePEc will be using more sponsored hosting. It is a very good thing. RePEc volunteers have spent countless hours on broken disks, falling power supply systems, loose network cable than you can shake a stick at. Using sponsored hosting can leave more time to improve service. You are currently browsing the archives for the RePEc volunteers category.